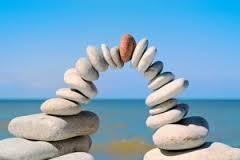 It is week 2 of my 6 week Positive Psychology course that I am doing on-line. This week’s learning has left me thinking a lot about those kids in my class and even my own kids at home who find it hard to experience the positive emotions. 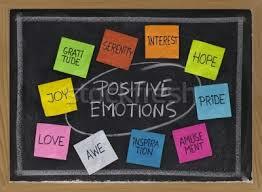 The positive emotions are often fleeting, but they are nutrients for growth. 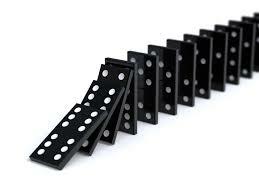 When people are taught positive emotions a domino effect happens. A subtle increase in positive emotion leads to an increase in positive resources in a person’s life. For example, the ability to be more mindful or feelings of greater connectedness, which then leads to an increase in positive psychological resources: fewer aches and pains, increased satisfaction in life and reduced depressive symptoms. For me, this is where the rubber hits the road, these are the things I want to be helping kids to learn, as positive emotions are closely connected with resilience. Resilience is a resource that can grow. Resilient people are less worried about the ‘perhaps’ negativity in life. Resilience is a fantastic life skill to have. *Being aware of the present moment. Most moments are positive. When we miss the moment, we miss opportunities to experience positive emotions by thinking too much about the past or worrying about the future, rather than being open to what is. *Pay attention to human kindness. Gratitude is unlocked when we see things done for us by others. But also, we can make someone’s day! *Go outside in good weather. Research shows that just 30 minutes outside increases positive emotions. *Rearrange life around your strengths. This is an involved step, but includes looking at your strengths and using them in daily life. I am thinking that as parents we can help our kids do this in so many little ways as we practice it. Yesterday we needed to visit the Doctor to get an asthma plan for one of my tribe going on camp. The Boy and I reflected afterwards how thankful we were to not have to wait long, how nice it is to have a GP who has a personal relationship with us as a family and what a blessing Bulk Billing can be. At the time I did not realise it, but together we were building positive emotions!